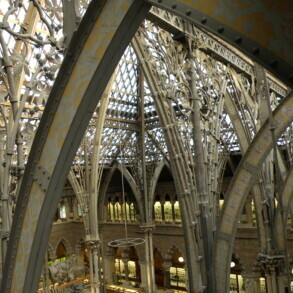 Within the Oxford University Museum of Natural History, ornate cast iron pillars, with wrought and cast decorations, support the spectacular glass roof. 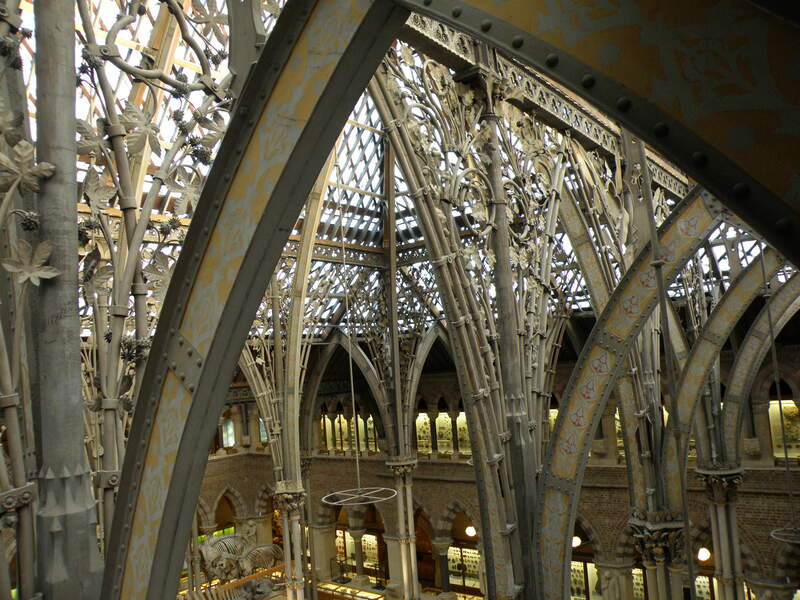 The decorations incorporate natural forms such as leaves and branches from plants around the world combining the Pre-Raphaelite style with the scientific role of the building. 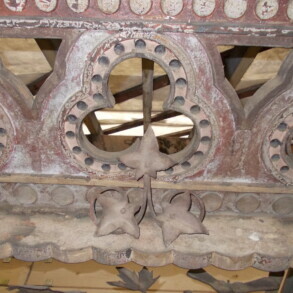 The dust of 150 years plus was obscuring the grace and beauty of the stencilled and hand painted columns and girders as well as the craft made pieces of ornamentation, so, as part of the refurbishment and roofing programme Eura was asked to complete a careful conservation clean of all the painted and stencilled surfaces. Vacuums at the ready, a team assessed and brushed each and every surface, nook and cranny. 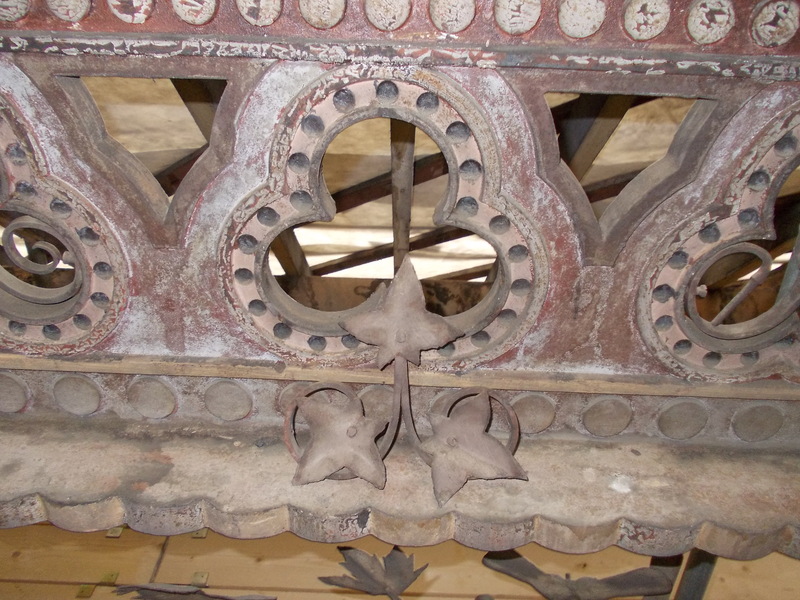 A gentle wash, with non-ionic detergent was then undertaken, ensuring that none of the delicate painted and stencilled surfaces were damaged. 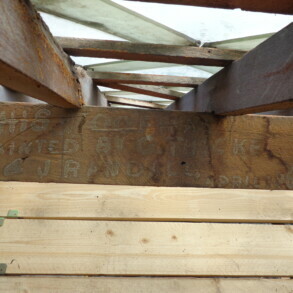 Every wooden beam, rafter and purlin was also cleaned and this lead to the discovery, on a topmost, out of sight purlin, of the names and signatures of the original painters in 1864. 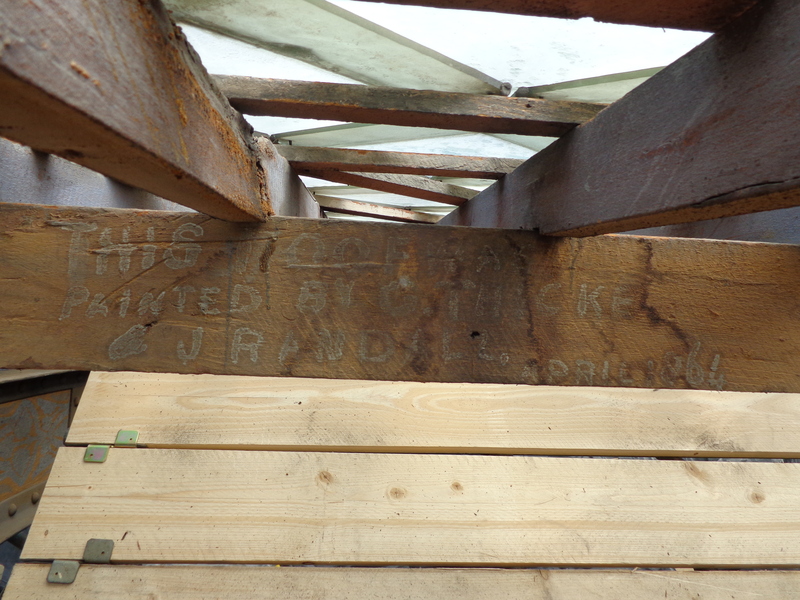 This too was carefully cleaned and conserved as were the various other historic initials and date scratched in the roof space. 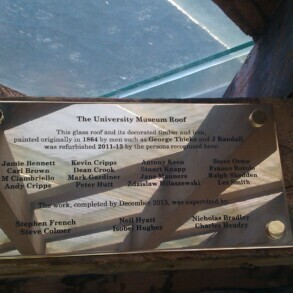 This desire of skilled workers, in this lovely building, to be recognised was taken on board by the museum and there is, equally high up in the roof space, a small plaque recognising the efforts of those involved in this refurbishment. 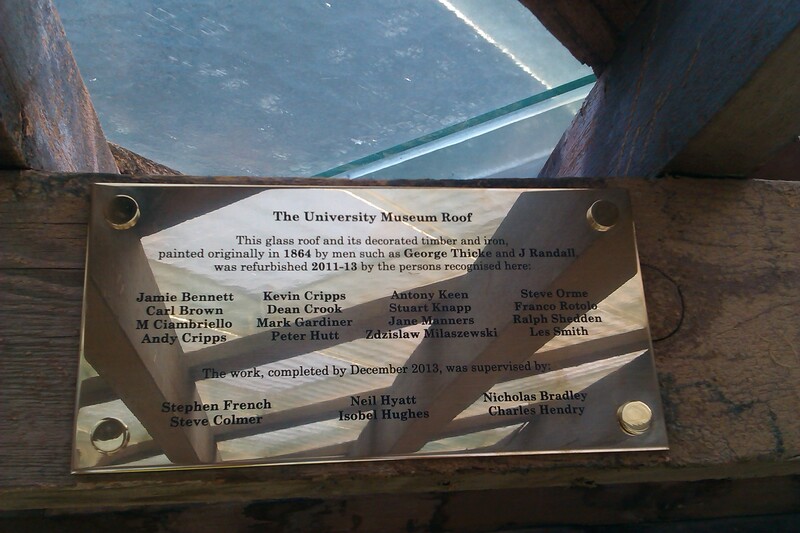 Six Eura personnel are mentioned by name – thank you – each member of our team was proud to be involved with the project.